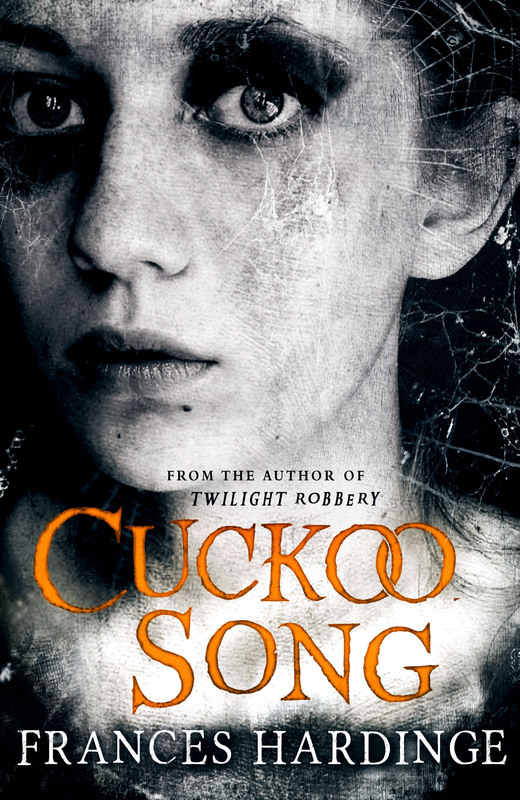 On the 8th May, Cuckoo Song will be published. To celebrate this, next week I will take part in my first ever blog tour. Given the cuckoo in the title, embarking upon a series of guest blog posts seems pretty appropriate. Feel free to imagine me as a hatted cuckoo, flying between other birds’ orderly, well-designed blog-nests, and dropping in my posts like misbegotten little offspring. I don’t have to do any work for this. I just need to marvel as Casey Ann devises some face art based on the book’s cover. I can’t wait to see what she creates! Seven facts about the writing of Cuckoo Song will be revealed. Sadly none of them involve time travel to the 1920s. Nostalgic memories of the books I read when I was young: totalitarian rabbit states, child thieves, murders, malevolent boulders – everything a growing child needs. I will be answering interview questions about my writing, my rolemodels and women in my life that have influenced me. I hope some of you will visit these blog-nests to watch my egg-posts hatch. 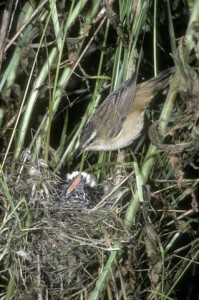 In the meanwhile, here is a picture of a young cuckoo impersonating a baby sedge warbler.